We send your suggestions via the contact form on any sites of company domain zones of the world in all languages. '''Kontact''' is the integrated Personal Information Manager of KDE, but can be used with other systems as well. Please Do not respond to it offer from its email account, as it is created automatically and will not come to us! Documentation for Kontact is [https://docs.kde.org/stable/en/kdepim/kontact/index.html also available]. [https://kolab.org Kolab.org] is a Free Software Groupware solution closely connected to KDE. The following page describes how to set up a [https://mykolab.com MyKolab] account with Kontact, but it works with any other Kolab Server as well. 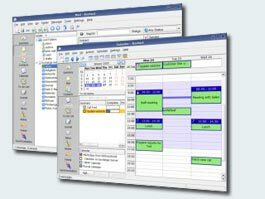 * [[Special:myLanguage/Working_with_Google_Calendar|Working with Google Calendar]] - Integrate Google Calendar with KOrganizer. #Drag the left panel closed using the splitter between it and the main panel, job done. Don't forget to enable Navigator in every component. Kolab.org is a Free Software Groupware solution closely connected to KDE. The following page describes how to set up a MyKolab account with Kontact, but it works with any other Kolab Server as well.